Rewind to two weeks ago: I was on a work trip to London and was on the hunt for a new foundation, as I have been finishing all of my favourites and being the beauty addict that I am really wanted to try something new. Granted I've fallen head over heels for the Chanel Les Beiges foundation, but sadly I haven't found a color match. And that new Dior foundation? It's a little too dark & willl have to wait in line until I'm a little tanner. So I ended up at Liberty London and found myself drawn to the NARS counter - I really, really love NARS. I kind of planned to check out the Sheer Glow foundation as it gets all the raves on the inturwebz, but the sales assistant quickly assessed my skin and told me I needed to try the All Day Luminous Weightless Foundation. It's perfect for combination skin types, offers full coverage & looks weightless on the skin. Sound pretty much perfect, right? 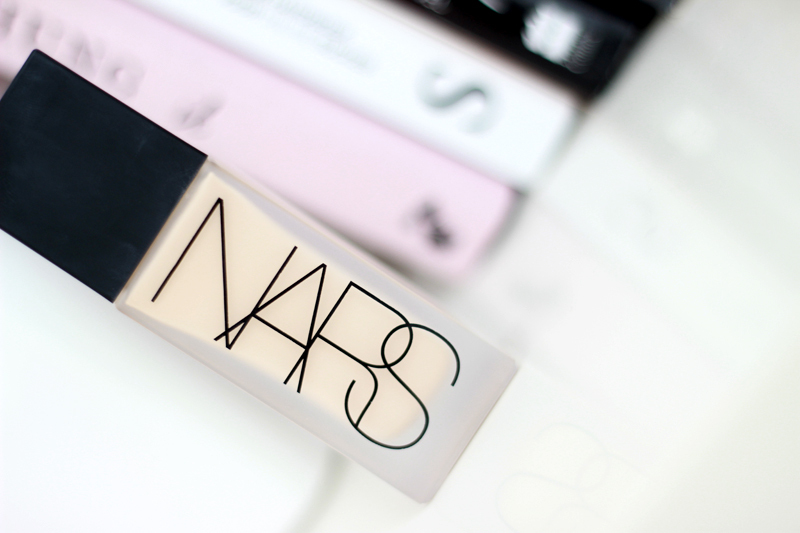 My love for NARS started with the packaging. I love the sleek, matte caps & compacts - I'll gladly forgive the unavoidable fingerprints on the cap. But when diving further into the brand I've discovered that I love a lot of their formulas. 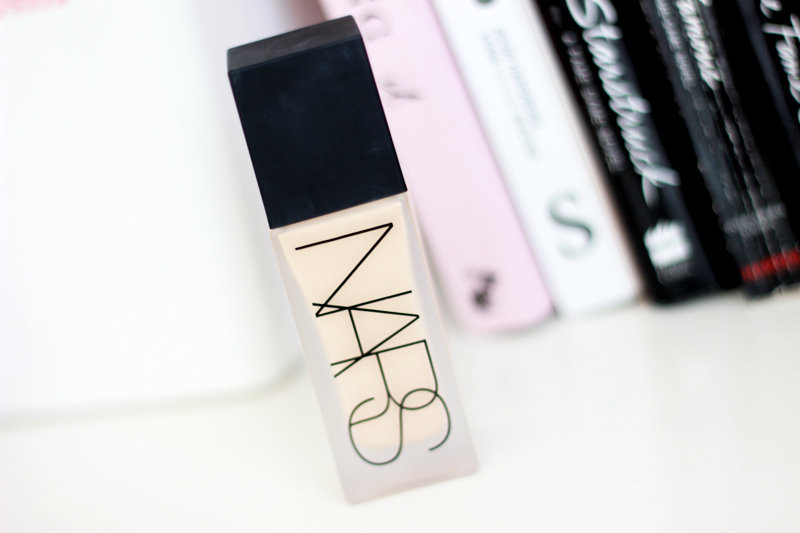 I had never tried one of their foundations though, so I was destined to give this one a go at one point. The formula is one of those liquid serum kind of formulas that have been such a hype the past few years, but minus all the bad traits. 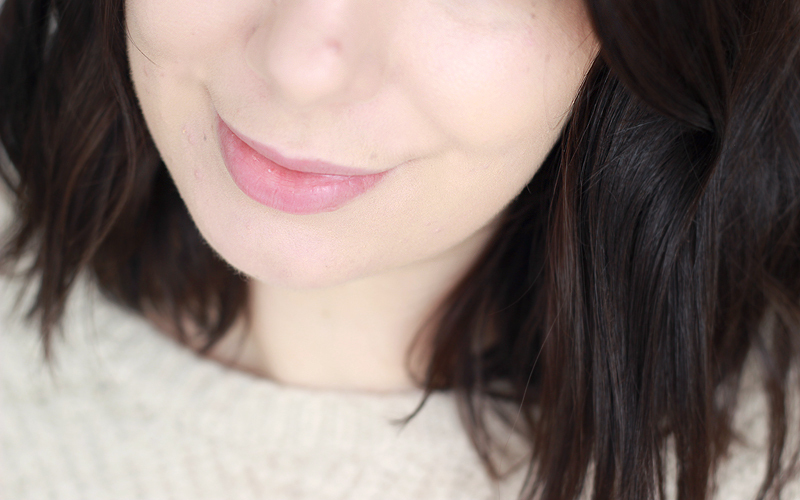 I tried the famed Giorgio Armani Maestro foundation that falls into that same category and tried very hard to love it, but for some reason it never did well on my skin. Same goes for the L'Oréal drugstore option. Read all about those experiences here. The All Day Luminous Weightless Foundation feels much creamier than most of the other liquid foundations, which sounds a little weird - I know. It's insanely pigmented and glides on my skin super easily when applied with a swiping motion - for this I love using my Missha Oval Foundation Brush the most. It does cling a little to the driest parts of my skin, so I make sure I use a good base on those areas. On my nostrils and between my eyebrows (where I have some dry patches) I use Lancôme's Nutrix Rich Cream, while all over I have been loving Galenic's Ophycée Instant Unifying Corrector. Those two make for the perfect base! Sensitive skin types will be happy to hear that this foundation does not contain any fragrance, while oily skin types will undoubtedly be excited about the oil-free formula. 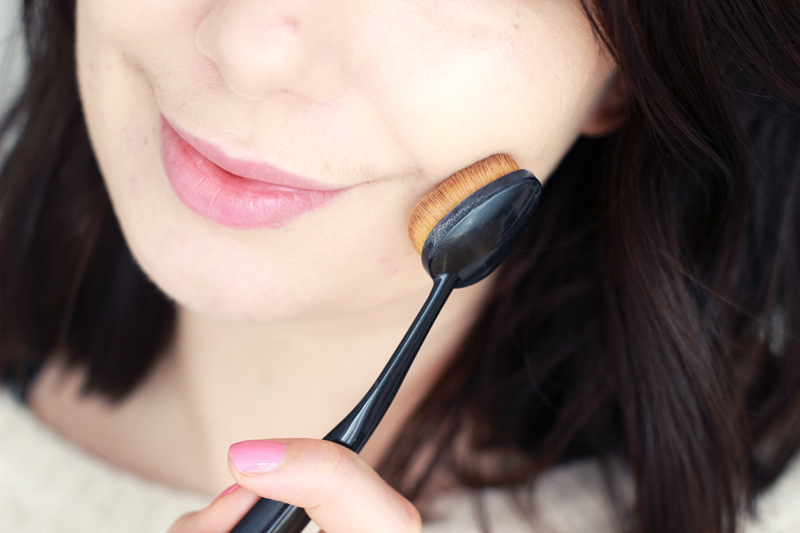 I love using the Missha oval foundation brush the most for this foundation. And nope, this picture isn't staged at all..
At first when I used this I wasn't sure about the results. You know that feeling when you've bought an expensive high end makeup products and it starts to dawn on you that it's not what you expected? Yep, I had the sweats. 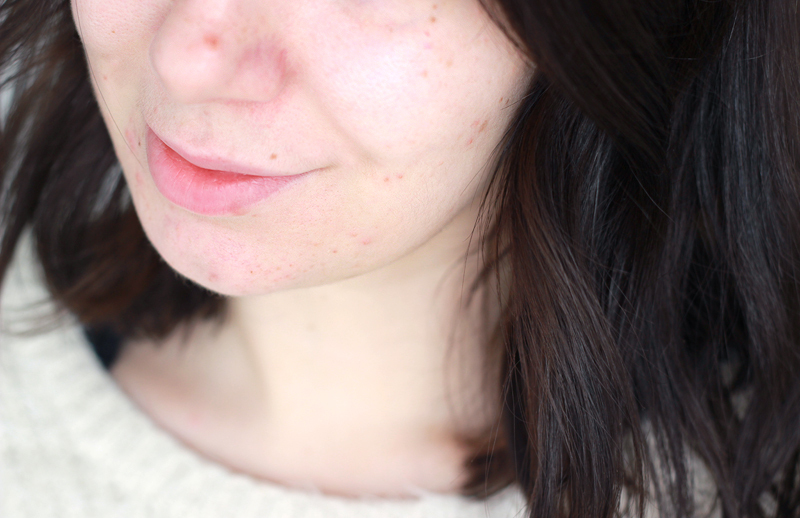 After a lot of trialling & testing I discovered that my main issue was that I just used too much product. I would go in with three or four pumps, but in reality I only need 2,5 pumps. If you use more it'll look caky, sink into lines and pores and migrate all over your skin. The coverage with those 2,5 pumps (and a pump is just a tiny drop - FYI) is impeccable as you can see. And can we talk about how good this shade match is? The sales assistant at Liberty's was amazing. He spotted straight away that I was wearing a foundation with a little too much pink to it and matched me in one go to Mont Blanc. Even though this one is described as a foundation with a pink base I find that it still holds quite a bit of yellow. I easily wear this foundation throughout the whole day: I typically apply my foundation around 8AM and take it off around 8PM. That's an impressive wear! To sum things up? I'd definitely recommend this foundation for anyone with combination or oily skin who is looking for medium to high coverage that still looks quite natural. Pay attention to using the right base and you'll fall in love!